Enamel on very heavy gesso-coated paper (no glass required). 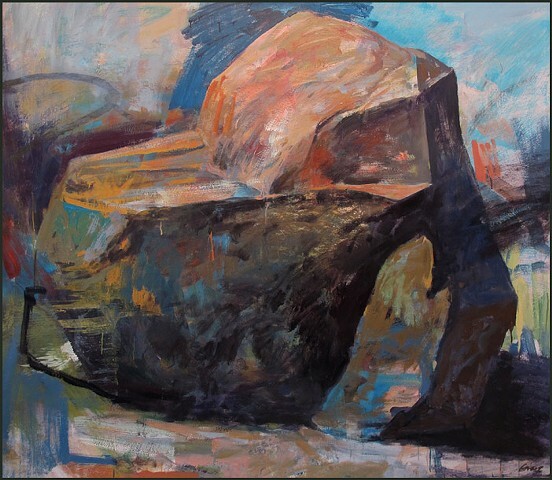 Uses stone imagery as metaphor and vehicle for gestural, expressive painting that straddles representation and abstraction. Framed with .75" wide x 2" deep gallery style natural wood frame. Framed size: 61" x 70". Shipping extra. Terms available. Contact dongraystudio@yahoo.com for payment arrangements.